It is rare to speak to a business owner who uses Twitter but who doesn’t want more followers. A few might say the numbers aren’t important and they are only concerned with “quality followers”. However, it’s generally the ones who only have a few followers who make this argument. More followers provide social authority. Just like any other ranking system, the higher your follower count, the more people (your customers) assume you are an expert—or at least someone interesting and popular. It may not be valid, but it’s the way it works in a world where there is a ranked list for everything. More followers extend your influence. Twitter is the perfect tool for spreading ideas to a wider audience. If you have ideas worth sharing, why wouldn’t you want to spread them to as many people as possible? Twitter makes it ridiculously easy to do this. The larger your follower count, the faster your ideas will be spread and shared. More followers lead to more sales. You’re likely on Twitter for one of three reasons: To be entertained, to network with others, or to sell your stuff. Whether it’s a brand, a product, a service, or even a cause, more followers provide the opportunity to generate more leads and more conversions. It is an excellent marketing tool for small businesses. Before I share with you some suggestions on how to increase the number of your Twitter followers, I think it is important that first I should tell you how not to do it. Don’t try to cheat the system and try to get instantly attract thousands of followers overnight. If something sounds too good to be true, it probably is. Unless you are a celebrity who has built up a vast audience in some other media channel, attracting followers is going to take time and effort but the investment will be worth it. What about buying followers? After all, there are lots of people promoting this kind of service. The first reason you wouldn’t want to do this is that it goes against the Twitter rules. But worse than that is the fact these so-called followers have absolutely no affinity, connection or interest in you or your business. It would be like your company sending a direct mailing to an un-targeted, generic list. The list would be worthless. 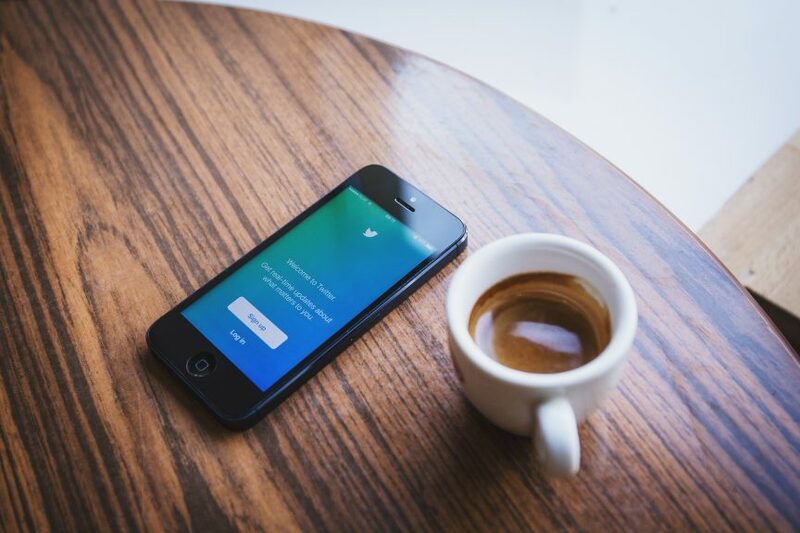 Instead of using these supposedly fast-track ways of building up your follower count, I want to share with you some of my favourite proven ways you can get more loyal twitter followers. Twitter is all about engagement. It is a busy and fast moving platform, so you need to create content that educates, informs, entertains or inspires your followers. This can be done by sharing a good mix of content, both your own and other peoples. You will soon build a large following of people who want to hang out with and follow you because they like what you’re saying or sharing. If you want visitors to your website to follow you on Twitter then make sure they can see your Twitter button link. You have to make it obvious to them. Don’t bury the Twitter button at the bottom of your website or blog page. Make it prominent and ask your visitors to follow you. If they are on your website they are obviously interested in learning more about you and what you have to say. Place “Follow Me on Twitter” in your email signature. In your email signature, include a link to your Twitter account. (An email signature is a small bit of information that gets attached automatically to the end of an email message. People typically put their name and contact details in the email signature; however, you are free to put whatever you like.) Make following you on Twitter easy. Again, don’t make them hunt for you. Add your Twitter ID on your business cards and letterheads. Although this won’t build you a huge following very fast it is a good habit to get into and is just as important as adding your physical address, telephone number and email address. Avoid too much promotion. Yes, you can promote your blog posts, products, etc. on Twitter but be careful. There’s an invisible line you must not cross. If you do, you look like a spammer—or just clueless. Not only will you NOT get additional followers, but you will also wear out your existing followers and many of them will simply unfollow you. Actively follow other people on Twitter. Start your networking efforts by becoming a follower of the people you admire in your industry. Read their tweets to get a sense of who they are and what their objectives are on Twitter. It is a good idea to follow as many people in your industry or sector as possible. Once you have found people and started to follow them, it will give them the opportunity to see both your good content and your online presence. They are then more likely to reciprocate and follow you back, as will many of their followers who could even turn out to be potential customers. If you place adverts in magazines, on television or radio, you need to make sure your twitter name is there for all to see and hear. Simply add the # (hashtag symbol) followed by your company’s name or promotion and people will follow you. Keep your posts short enough to retweet. Retweets are the only way to get noticed by people who don’t follow you, but you must make your posts easy for others to retweet. So keep your tweets short enough for people to be able to add the RT symbol and your username (“RT @yourcompanyname”). So for example, let’s say your name is 14 characters long you will also need to include the space. That means, in order to be retweetable, your tweet can be no longer than 126 characters (140–14=126). Almost everybody uses Facebook, so make it easy for them to hop over to your Twitter account when they visit your Facebook profile. The ideal place would be in the “About” section. Picture Twitter as a constant, fast flowing stream. Tweets flow past and are often never seen again. Therefore, you need to keep your Tweets flowing so that you are not forgotten. Be obvious. Stand out in the crowd and you will get a lot more followers. Link to Twitter from LinkedIn. Having a Twitter link on your LinkedIn account is perfect. You’re allowed three links on the LinkedIn profile, so make sure that one of them is your Twitter account. It will be ideal for networking, especially with the movers and shakers in your industry. I used to reply to people via Direct Message, thinking what I had to say was irrelevant to most of my followers. Because I wasn’t replying in public, this made me look unsociable. So now, I reply almost exclusively in public, and really, the only people who see those messages are those who follow both me and the person I am replying to which is only a small subset of my followers. By doing that, my tweets are sociable but not annoying. Be generous when linking to, and retweeting, others. Twitter promotes a culture of sharing. The more you link to others, the more people will reciprocate, and that’s precisely what must happen for you to grow your follower count. You need others to introduce you to their followers. However, don’t ask for a retweet too regularly. Once in a while is okay but if you simply post content worth retweeting, people will gladly do it for you without having to ask! These tips will really help to boost your follower numbers and we hope they give you some inspiration. Having said that, you need to remember: If you are at the beginning of your Twitter journey, nobody is really going to be paying much attention to you. Initially, your posts will be lost in a sea of other messages that are competing for attention, but on the plus side there are not going to be too many people who will see your messages until you build up a large following, so this is the perfect time to make a few mistakes. Remember: Twitter takes a lot of work, has a bit of a steep learning curve and can be a pretty scary place to be on day one. There are all of those confusing characters and symbols, strange shortened links, the pressure to follow people you don’t know and so many daunting acronyms and buzzwords, not to mention the hashtag. Even so, despite having a lot to learn and having to put in some effort, you will still have a lot of fun and it will definitely give your business and your brand a boost.